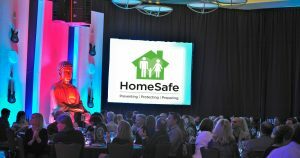 Help us protect child abuse and domestic violence victims. Despite a few setbacks, David has found success through the Residential Group Care program at HomeSafe and has high hopes for the future. Wanting to turn his life around, Josue’s hard work gained him acceptance into HomeSafe’s independent living program, Pond Place. After leaving her abusive husband, Linda enrolled in the SafetyNet program and quickly became a model of empowerment and strength within the group.